Two more chairs complete. Not a big story. One has been stored somewhere in Virginia and is brought out when the family occasionally (and briefly) resides in the United States. A friend sat in the other when she spit up and/or ate her peas. 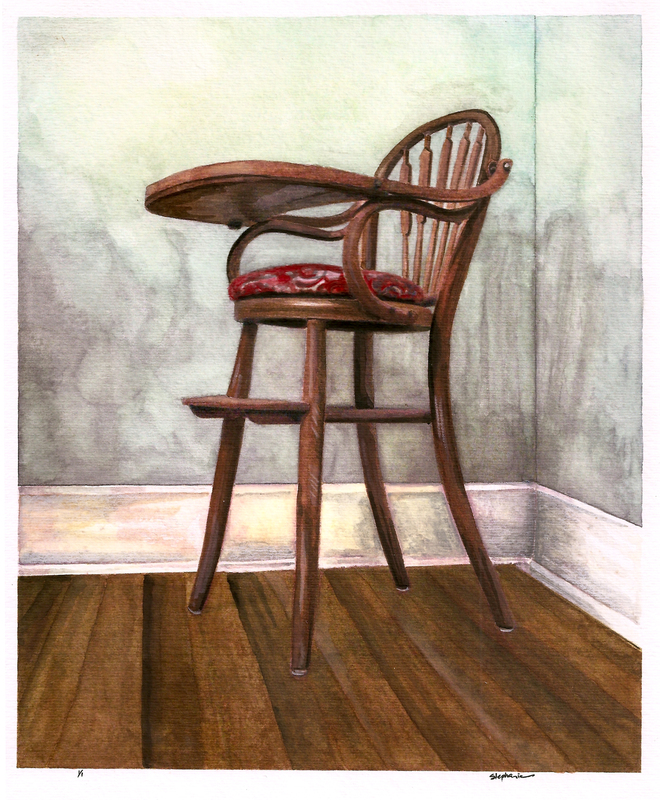 Posted on February 26, 2010 by gadorawilderPosted in Still Life with SetteeTagged Still Life with Settee, vintage, water color. Previous Previous post: Q & A ~ Unique bedding under $150? 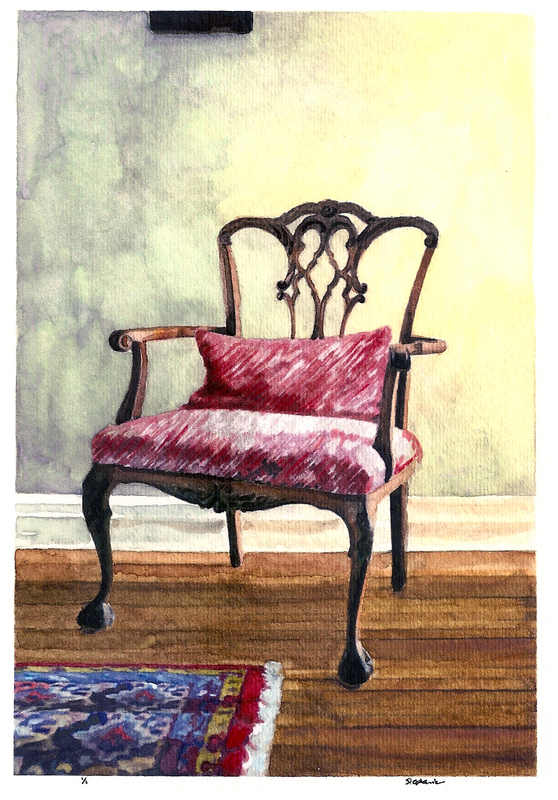 Love the redo of my Victorian chair – maybe I’ll give it a jazzy new fabric next time I see it! I love the high chair. It would match my dining chairs.